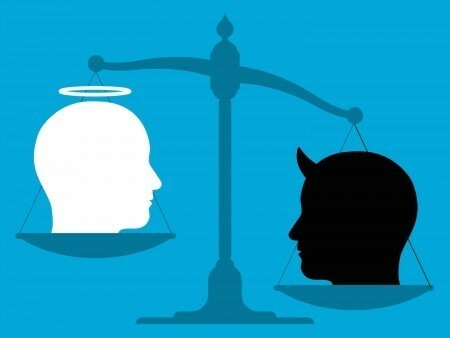 Is all debt evil? Or is some debt smart? 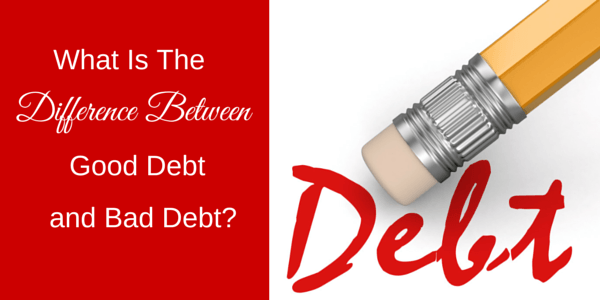 What is the real difference between good debt and bad debt? These are common questions that I’ve heard over and over again in my adulthood, and I’ve also heard some very different opinions on the topic as well. Some say that a house mortgage is a good debt; others express how important transportation is to them, which means that their car is a good debt; while still others spout off debts such as student loans, business loans, and home equity loans and consider them all good debt as well. So which is it? What is the right answer? For many, a necessary debt equates to a good debt, but I don’t believe in this. Just because you might need something and can’t afford to buy it with cash does not make it a good debt. 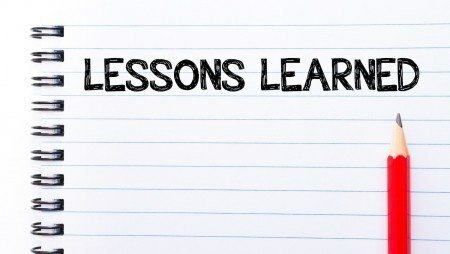 Per my experience, good debt enables you to make more money than you could have if you had not taken on the debt. For example, let’s say that you currently earn $50,000 a year at your job. If, however, you could borrow $10,000 from the bank, invest it into something (a business, a money-generating activity, etc.) and earn more money back than you had to pay in (which increases your earnings each year to say, $55,000, then this would be good debt wouldn’t it? Buying rental properties is often a form of good debt. By borrowing $100,000 from the bank, you could buy a property and rent it out for $1,000 a month, while only paying the bank back $500 a month. The net gain is yours to keep and you likely didn’t have to use very much of your money to earn it. Another form of good debt is student loans. If you can borrow $30,000 and use that toward earning a degree that will earn you an additional $20,000 per year, then that loan would quickly pay for itself wouldn’t it? If you’re borrowing money and using it to increase your net income (income after all expenses), then this would be considered good debt. There are a lot of bad debts out there, but let’s start with the obvious ones: payday loans, credit card debt, and luxury debt (for items like a boat, quad, or snowmobile). These are all debts that either have extremely high interest rates or are simply not necessary to live your life. Debt of this kind will only lead you into a downward spiral, which is a very difficult pattern to escape. Then there’s the bad debt that people often call good debt. The first of which is your car. While it might be important for you to get to work and back, using debt to buy a car is far from wise. Basically, you’re borrowing $20,000 from your future self to own a car that’s worth $4,000 by the time you pay it off. Debt on depreciating assets is bad debt. Okay, now here comes the real debate. What about that house you own? Is that good debt? According to the definition provided to us from the wealthy (namely, Robert Kiyosaki), your home is not a good debt. Sure, it might increase in value over the course of your lifetime, but it barely keeps up with the rate of inflation. Plus, it generates absolutely no money for you while you own it! In fact, all it does is drain money out of your pockets with the mortgage payments, property taxes, insurance, and repairs. In the end, your house is a very poor asset and robs you of your potential cash flow. If you want to be wealthy, buy an inexpensive home and use your remaining capital for investments. Throughout my life, I’ve had the usual debts: student loans, credit card debt, and a house mortgage. What I’ve learned though, was that it was affecting me negatively in two different ways. First, taking out debt is just too easy, and it often results in us spending more money than we would have if we were paying cash (spending other people’s money is far easier than spending your own). For instance, when you’re a kid going to college, what is more desirable? Hanging out with your friends and having $25,000 worth of debt, or working hard after class each day and ending up with $15,000 of debt? Today, it seems like most kids are taking option #1, the large debt option. In the moment, it’s just more fun to avoid working, and since there will be debt anyway, why not just tack on another few thousand? This is when good debt becomes bad debt very quickly. Second, people tend to grow comfortable having debt. They took out school loans and a house loan and survived unscathed, so that small balance on the credit card doesn’t really seem like such a big deal. Some good debt can easily morph into having other debts, even when the individuals know that it’s unwise. So what about having no debt? Would that be a good option? Without debt, it’s pretty difficult to grow a large multi-million dollar company, but what if you didn’t need $100 million to be happy? What if you could live a productive life for $5 million? 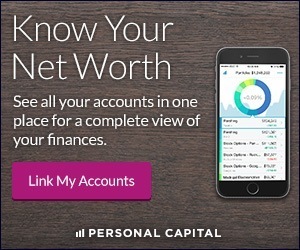 Do you need debt to do this? Absolutely not. I went on a rampage about a year ago and paid off every single one of my debts, even my house. Today, I have an unbelievable cash flow each month (since I have no payments) and am living on only 25% of my income. By investing the other 75%, I could easily build up millions of dollars during my lifetime. It doesn’t have to involve any debt, which means I’ll have a fun, worry-free life. After living with debt and without it, I would choose to live without it every time. What about you? 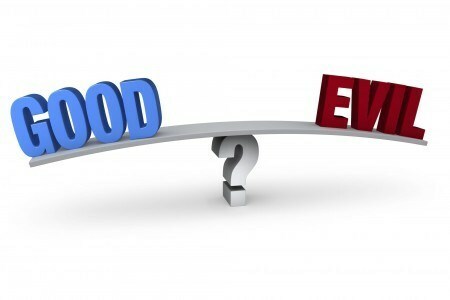 What do you consider good debt and bad debt?